MOSCOW, April 8. /TASS/. The Internet should remain a free zone, Russian President Vladimir Putin said in a welcome message to the participants, organizers and guests of the Tenth Russian Internet Governance Forum, which opened on Monday. First Deputy Chief of the Presidential Staff Sergei Kiriyenko read the message out. 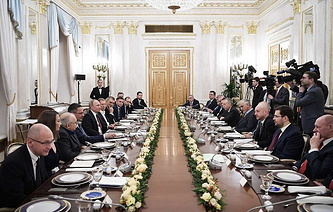 "I am confident that we should continue to follow the principle of the freedom of the Internet, creating conditions for a wide exchange of information and the implementation of business initiatives and startups," Putin said. The Russian president added that efforts to combat illegal content on the Internet required the online community’s participation. "At the same time, it is also important to counter the risks and challenges of cyber crime and the spread of illegal content, which poses a threat to people’s rights and the state’s interests," Putin said. "In this regard, the online community’s stance is significant, as well as its readiness for constructive dialogue," he emphasized. Putin pointed out that Russia’s national Internet domain - .ru - had been registered on April 7, 1994. He thanked all those "who contributed their labor, talents and enthusiasm to the creation of the Russian segment of the Internet." "It was difficult to imagine 25 years ago that very soon, the Internet would radically change the world," Putin said. 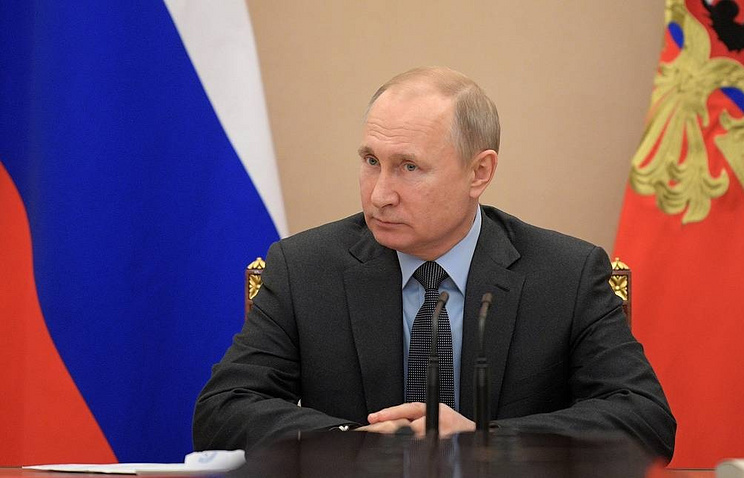 "Social media, communication networks, distance employment and education, online trade and provision of state services have become part of everyday life for millions of people, it is a true sign of the times," Putin said. He also stressed that the Russian segment of the Internet "is successfully progressing, providing a significant competitive advantage to Russia to become one of the leaders of the digital age that has already begun."